That is a direct quote. It was followed by a big smile. It is that time on the farm again. We are optimists at heart. This is that magical moment in every growing season. We look forward to lots of beautiful berries. We shall see. The reason all these blueberry bushes look white is that they are covered with lots of flowers. Each flower is potentially a berry. Next the pollinators and then the right combination of sunny days and some rain from time to time. Check back in about seven weeks. The long winter finally seems to be in the rear view mirror. 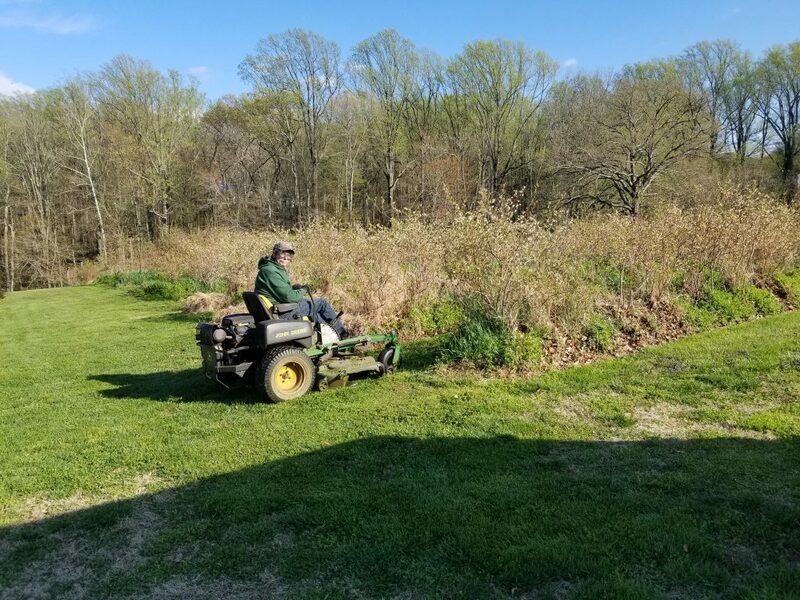 Robert has retired and still has a strong desire to help things grow. Updates will get posted here as plans come into focus. After twenty plus years we know better than to try to predict what we will have and when we will have it. Check back later in the spring and we will have updates as the warm sunny days and the occasional gentle rain do their magic. Our early season June berries have come and gone. We will continue to monitor our mid season varieties and will update if there is an opportunity to pick. Not many berries left to ripen after lots of picking Tuesday evening and Wednesday morning. We already announced plans to be open from 9am to noon on Saturday and we will be open. Everyone who joins us on the farm needs to do so with the understanding that we are at the point where demand will likely exceed supply. A few folks continue to be confused by our selling blueberries in 2017 after announcing that we were done after 20 years and concentrating on vegetables. So are we. After a terrible 2016 we decided to conduct an experiment with the rear field (about 75% of our plants). No pruning, mulching, weed control and irrigation. What would happen if we allowed these non-native plants to fend for themselves. At least for this year they are producing blueberries. There is also a bumper crop of Canadian Thistle. They are nasty thorny plants. We will open the back field for picking on Saturday along with the much more picker-friendly front field. No small children out back. Common sense suggests long pants and shoes. We have marked the rows which have berries. If you decide to join us please remember the sunscreen, the water bottle and that we no longer have the porta-john so plan ahead. Blueberries. Come out and pick this week. 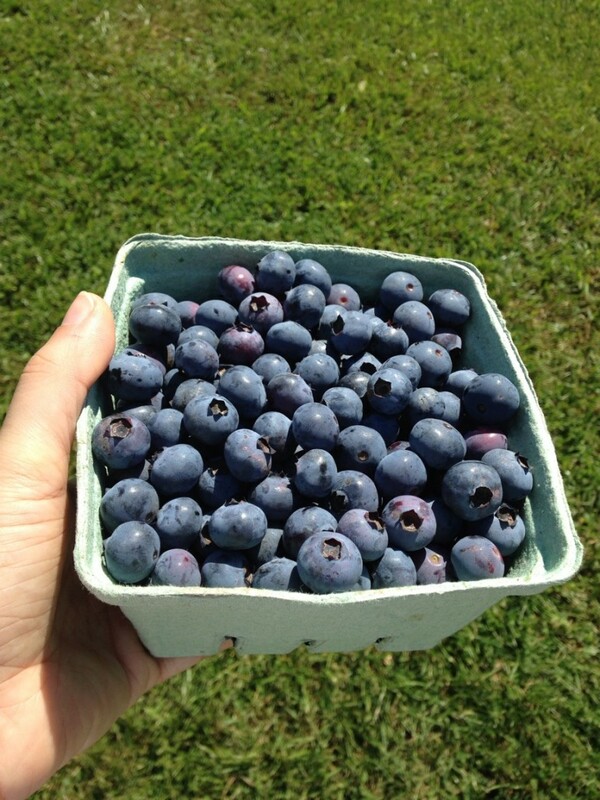 We still have blueberries and they are ripening quickly in this summery weather. So we will be open for a couple of hours on Tuesday evening (6/20 from 6:00pm to 8pm.) and again the next morning Wednesday from (9:30am to noon). We are also planning to be open Saturday morning. We’ve done our best to look at the weather forecast and our schedules to give everyone and opportunity to join us here on the farm. On Tuesday 6/20 in the early evening from 6 to 8pm. the next day Wednesday 6/21 open in the morning 9:30am to noon. Saturday 6/24 open 9am to noon. Limited picking. Remember the sunscreen, the water bottle and that we no longer have the porta-john so plan ahead. Robert says “my assessment of the blueberries in the front patch is that they are completely at peak right now with 200 to 400 quarts ready to go”. If you have a chance, join us on Thursday 9am to 11am and in the early evening from 6pm to 8pm. On Saturday and Sunday we will be open from 9am to 1pm. We will have Blueberries, Strawberries and even a few veggies from the Hoop House. We take down and unplug the electric fence when we are open. To reduce our costs we no longer have the porta john. Plan accordingly. Cash or check. Blueberries are still $8 a quart and strawberries are $6 a quart. Come out and pick this week. Robert just stopped by to report that we have berries and they are ripening quickly in this summery weather. So we will be open for a couple of hours three mornings this week and twice in the early evening. We’ve done our best to look at the weather forecast and our schedules to give everyone an opportunity to join us here on the farm. Monday 6/12 open 9 to 11 am and in the early evening from 6 to 8pm. Thursday 6/15 open 9 to 11 am and in the early evening from 6 to 8pm. After years of telling everyone that we only grow blueberries this year we decided to give strawberries a try. The strawberries are ready to be picked as well as some blueberries. They are organic of course. We will be open tomorrow Wednesday 6/7 in the afternoon from 3:30pm to 7pm. We will also be open Saturday 6/10 from 9am until 1pm. As always, it is a pleasure to be growing for you! Our 2017 season has begun. We were open briefly on Thursday and had three blueberry customers and twice that number picking strawberries. That was just about right. We will be open once again on Saturday morning from 9am to noon. We will mainly have strawberries and the first ripe blueberries (remember that this is just the start of the season and quantities will be limited). Be advised that as a cost saving measure there is no porta-john this year. So apologies in advance.